When the Doklam crisis first hit the international headlines Bhutan’s worst fears had come true with the troops of two effective superpowers, India and China, facing off each other on Doklam, a disputed territory claimed by Bhutan. Bhutan, it seemed, had nothing to gain and everything to lose in this standoff, from its carefully cultivated relationship with India with deep economic ties, to the so far placid China becoming belligerent and even hostile on Bhutan’s borders. If not handled well, there was every chance of Bhutan getting the worst from both giants. Things were predicted to get much worse if there was military conflict between the two. However, around two months later both sides disengaged and the region and the wider world breathed a sigh of relief. After the disengagement there have been a lot of hearty congratulations for the leaders of India and China, both internationally and also in their domestic press, for their role in the peaceful resolution of the standoff, without having to lose face. A few news article and statements have credited Bhutan for the disengagement too but the narrative has been largely dominated by India and China. However, in the standoff, the country that had to lose the most, Bhutan, unknown to many, is the biggest winner of the standoff, both in immediate terms and also in the long run. The main benefit is that in helping resolve a major standoff between the two neighboring giants on soil claimed by it, Bhutan has also managed to strengthen and widen its diplomatic space vis a vis both India and China. At the beginning of the standoff one assumption made by some commentators and media outlets was that of Bhutan being almost an Indian ‘protectorate’ and that it would do whatever India wanted. The assumption on the other side was that Bhutan would be intimidated by China, and like it had done in past border encroachments it could ride roughshod over Bhutan on the issue to build roads where it wants. By the end of the standoff both assumptions were turned on its head by Bhutan with its public statements, as well as behind the scenes diplomacy with both countries, helping them to not only achieve the disengagement, but also drawing red lines for both sides. On the Chinese front Bhutan has had a perennial problem of Chinese encroachments and even road building activities in its two disputed sectors in western and central Bhutan. Bhutanese soldiers on the ground and diplomats in Thimphu have protested the actions in the past but the intrusions continued. The Doklam standoff was the first time where another usual Chinese encroachment in a disputed area, led to not only a face off against Indian soldiers, but an international incident focusing the spotlight on Bhutan’s border regions. Many in the international media spun the story of a giant country’s border disputes with a small country. The expectation now is that with Bhutan’s border disputes going international, an image conscious Beijing would be more conscious in trying to change the facts on the grounds through road building activities and encroachments into disputed areas with Bhutan. The feeling is that a red line of sorts has been drawn where future incursions would not be as simple or easy as in the past. It has been learnt that China was not expecting the strong demarche from Bhutan followed by a statement. China was hoping for no comments or at the best a mild statement from Bhutan. However, Bhutan’s strong demarche and statement came as a surprise for the Chinese side which was not happy to receive them. 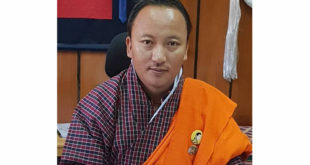 However, to ensure that the Chinese side gets the message but is not excessively antagonized, affecting Bhutan’s boundary talks and so far friendly relationship, Bhutan’s statement, on 29th June while being strong and clear was kept short with the content being on the lines of the demarche. While the Chinese statements and media raised the issue of Bhutan’s sovereignty vis a vis India during the standoff, it was not the first time, since the Chinese side during boundary negotiations are known to say they respect the sovereignty and territorial integrity of Bhutan. However, on the ground this verbal commitment did not prevent encroachments and activities in Bhutanese border areas. Bhutan made it clear to India that it was not ditching India, compromising its security interests or planning to play any Chinese card on it. At the same time a clear impression was given to India that Bhutan could not be taken for granted. As such the trust and confidence between the two countries was maintained as Bhutan diplomatically punched above its height behind the scenes. Though a small Bhutanese contingent of patrolling soldiers in the beginning had requested the Chinese troops to stop building the road, Bhutan in order to not make a heated situation worse, did not send Bhutanese troops along side Indian troops to face Chinese troops. Another independent and conscious choice that Bhutan made was to not confirm or deny that it had invited Indian troops into Doklam. This ambiguity served the dual purpose of not embarrassing India while at the same time not giving any confirmation to China on whether Bhutan had invited a foreign army in a bilateral border dispute. Bhutan waited for a break through when the Indian National Security Advisor travelled to Beijing to meet his counterpart and also in a meeting of the Indian Prime Minister and Chinese President in Hamburg, Germany for the G-20 summit. Nothing concrete emerged at the time as both sides were not willing to be seen to giving ground to the other side. However, diplomacy was well and alive behind the scenes between the three countries and especially so between the two main contenders India and China. 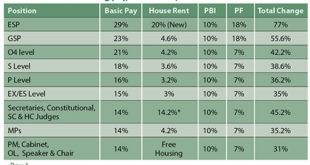 Bhutan, throughout, stuck to its position on the status quo but encouraged a peaceful, low profile and early resolution. 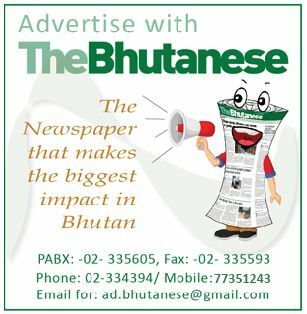 One element that was also factored in by the Bhutanese government was public opinion in Bhutan which was becoming increasingly agitated with the standoff on disputed territory claimed by Bhutan. The question that was increasingly being asked was on why Bhutan was being dragged into the rivalry between India and China, with consequences for Bhutan. Bhutan in 1996 due to Indian security concerns had turned down a package deal offer from China that could have resolved the border dispute between the two countries, with more disputed territory concessions from China. 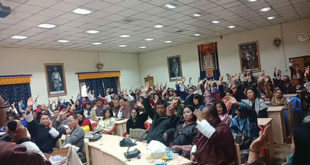 With conflict looking imminent at the time there were many searching questions from the public to the Bhutanese government from the issue of border negotiations to its foreign policy. However, in a moment of national crisis a few ugly aspects of Bhutanese society came up with some social media commentators resorting to xenophobia, out right racism and tagging people as patriots and effective traitors. At the same time Bhutan at the national level came together behind His Majesty The King as even the Opposition and other political parties refrained from making any statements on the standoff . They did not publicly make political use of it, even with elections just a year away. Eventually, as the standoff ended most of the media focused on India and China, but Bhutan came out as the silent winner. During the standoff it became amply clear that Bhutan is no ‘protectorate’ of India and it can exercise its own foreign policy moves. The standoff at the same time also showed India how it was only Bhutan that stood by it even as many of India’s new found allies remained silent on the issue or issued only neutral statements. The trust and confidence between the two countries was in fact strengthened. So Bhutan gained both diplomatic heft and also importance in India’s eyes. For the Chinese side it became clear that encroachments into disputed areas with Bhutan will come at a higher cost in the future. However, at the same time Bhutan by not going overboard on its statement and its practice of independent foreign policy also assuaged Chinese doubts of Bhutan ganging up with India against it. Bhutan while stating its stand did not turn China into an enemy. This was clear in how after a few initial critical news articles China avoided criticizing Bhutan in both its official statements and also through its official media. The standoff in the end has enhanced Bhutan’s diplomatic status and heft and once again Bhutan has achieved the near impossible task of keeping both the elephant and dragon happy. The writer is the Editor of The Bhutanese Newspaper.